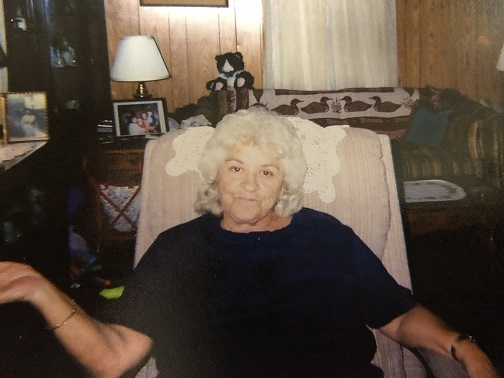 Jeanette Ann Mills, 82, of Inwood, WV passed away Monday, October 29, 2018 at her home. She was the beloved wife of Ortence Mills. Born November 9, 1935 in Martinsburg, WV she was the daughter of the late Robert Lee and Evelyn (Montgomery) Penwell. Jeanette enjoyed gardening and flowers in her spare time. She was loving wife, mother, grandmother great-grandmother and great-great grandmother and loved spending time with her family and will be sorely missed by all. In addition to her husband she is survived by her children Betty Higgs, Ronald Mills and wife Wanda; grandchildren James Travis and wife Jennifer, Stephanie Mills and husband Shawn Edelen, Penny Taylor and husband Jeff, Samantha Mills and Ronald Mills, Jr.; seven great-grandchildren and three great-great grandchildren. The family will receive friends at the Bast Stauffer Funeral Home, 7606 Old National Pike, Boonsboro, MD on Saturday, November 3, 2018 from 12-1PM where a funeral service will begin at 1PM. Interment will follow at Brownsville Heights.